This is a recent introduction to the market from the USA and we are proud to be able to bring this exception cultivar to our customers. 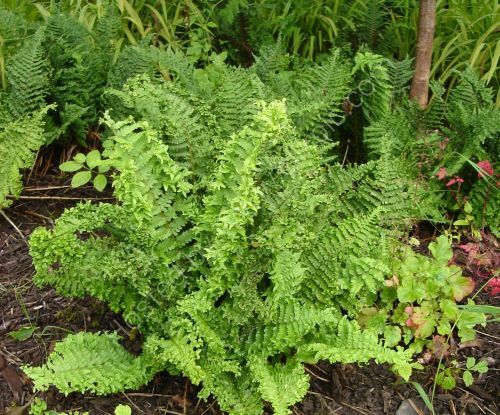 This cultivar is one of the best, a lovely congested frond with cresting and crinkling. It will stay evergreen in mild sheltered areas but will usually be deciduous. It has all the vigour you expect from a Male Fern but with the added benefit of Parsleyness (is that a word...it is now!! ).